A pre-nuptial agreement may not be everyone’s primary concern in the lead up to marriage but it is an enquiry we are seeing more and more often in practice. Pre-nuptial agreements are not legally binding. They really just represent the agreement made between a couple before marriage with a view to setting out how their finances and assets ought to be split in the event of their separation and/or divorce. 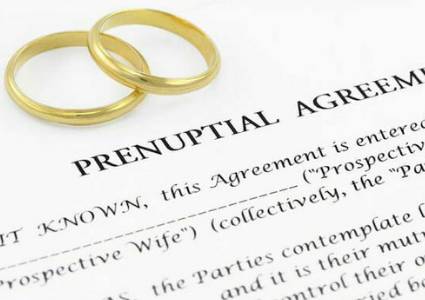 A pre-nuptial agreement allows the couple to make a distinction between property acquired during the marriage (matrimonial property) and that owned beforehand or property inherited or gifted to either of them individually (non-matrimonial property). The couple can therefore agree to protect their individual assets and enter the marriage with a greater sense of certainty. A couple cannot predict their future and any agreement drawn up cannot provide for every eventuality. For example, if a couple have children their agreement may not adequately provide for their changing needs as a family. The couple’s future earnings and career may not progress as envisaged this also may cause tensions and dispute in the event of a relationship breakdown. With careful drafting and the use of a review clause the couple can revisit their agreement in light of their changing circumstances. The reality is that many couples will not do so and these matters only become an issue on the breakdown of the relationship. Any dispute as to the division of assets and property on the breakdown of a relationship will cost the parties emotionally and financially. The Supreme Court has stated that weight will be given to a pre-nuptial agreement if it is freely entered into by each of them and both had a full appreciation of its implications. However, if the Court consider that it would be unfair to hold the couple to the agreement, then they will not do so. A couple will be best served by engaging the services of a family lawyer to assist them with the drafting of the document but to do so in plenty of time before the wedding ceremony! The tide may be turning but they are still on very shaky ground.